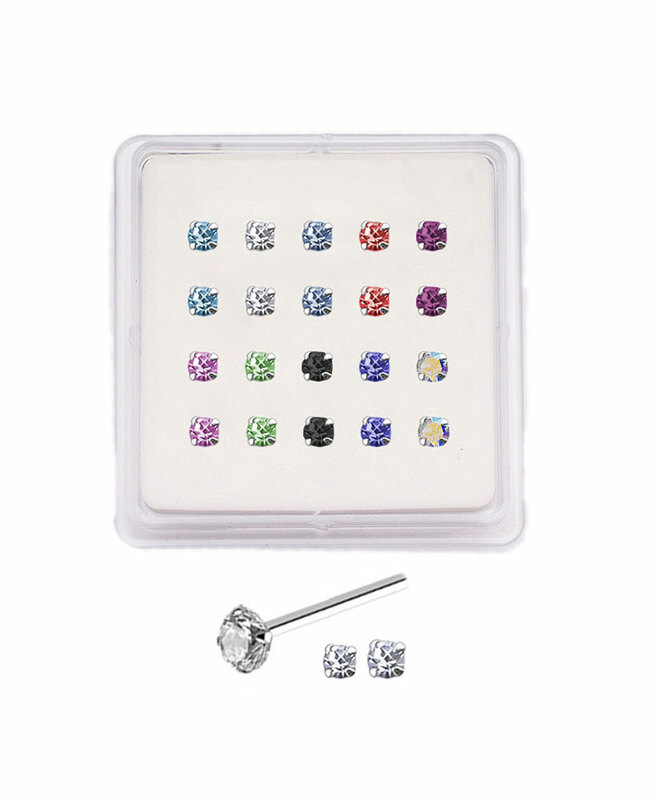 Lot of 20 925 Sterling Silver Nose Studs with cz prong set gemstones. Each pack has two of each color. Designed to lay flat on the nose.